Innovative approach introduces LibreOffice to new computer users, and in doing so, the benefits of open source software and communities globally. June 15, 2015 - The Open Source Initiative® (OSI) announced today that Associazione LibreItalia, a non-profit organization working to reduce the digital divide and tear down barriers to digital citizenship throughout Italy, has joined the internationally recognized steward of open source as an Affiliate Member. LibreItalia represents a large and growing community, working to introduce free and open source software through the use of the LibreOffice desktop productivity suite. LibreOffice is often the first open source application installed on a new user's personal computer and the introduction for many users to the wider world of open source software. As such, LibreItalia serves a critical role in educating digital citizens in the value and importance of software freedom, not only personally but within businesses and government as well. LibreItalia enjoys the support of almost 200 active members, from a community of 3,000+ individuals. 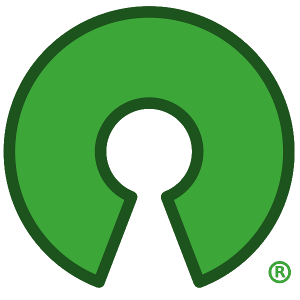 "Associazione LibreItalia shares the Open Source Initiative's vision, and believes in the same principles of education, advocacy and promotion of open source software," said Italo Vignoli, Honorary President of Associazione LibreItalia. "By joining the OSI, Associazione LibreItalia strengthens its position in Italy as one of the most active organizations in the free software environment, especially when dealing with the Italian government." "Associazione LibreItalia is the Italian home of LibreOffice, and as such represents one of the largest and most dynamic free software communities," added Vignoli. "LibreItalia promotes community building, education and advocacy, marketing and communication for the use of free software in public and government affairs. Phipps continued, “We are happy LibreItalia is joining the OSI as an affiliate and we encourage other organizations to take inspiration from their activities in other countries around the world.” The Affiliate Member Program allows non-profit and not-for-profit organizations to actively engage in the direction and development of the OSI. Associazione LibreItalia is the not for profit organization which aggregates all Italian advocates of LibreOffice, to promote the adoption of free office suites and the Open Document Format (ODF) standard in organizations of all sizes and kinds. The Board of Directors - in office for two years - is compsed of seven members: Sonia Montegiove, President; Marina Latini, Vice President and Chief Technical Officer; Giordano Alborghetti, Treasurer; Andrea Castellani, Alfredo Parisi, Gabriele Ponzo and Italo Vignoli, Councillors. Associazione LibreItalia website is located at http://www.libreitalia.it. Founded in 1998, the Open Source Initiative protects and promotes open source by providing a foundation for community success. It champions open source in society through education, infrastructure and collaboration. The (OSI) is a California public benefit corporation, with 501(c)(3) tax-exempt status. For more information about the OSI, or to learn how to become an affiliate, please visit: http://opensource.org/affiliates.